In an ideal world, a day spent chasing trout in Montana is a day spent without the nagging ring of a phone. Yet that ideal world often falls by the wayside when reality strikes. 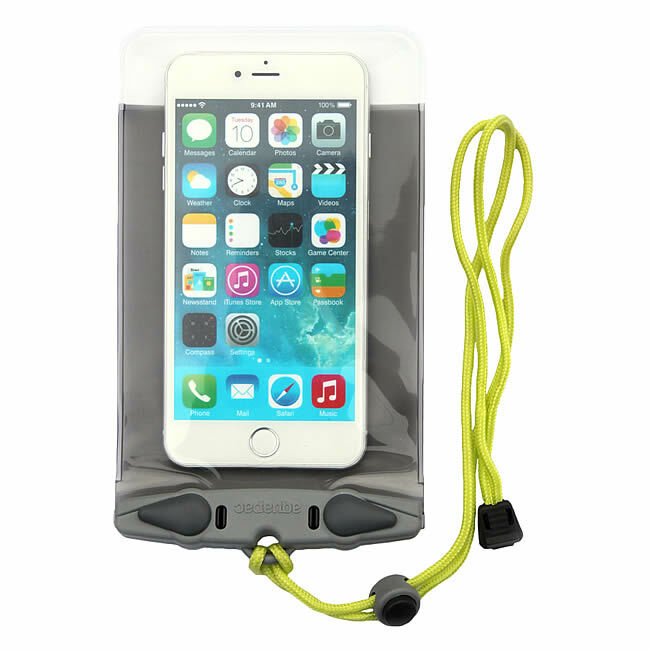 A Waterproof Phone Case with lanyard. Ideal for protecting a phone while fishing. See more Phone Cases at NRS. The undeniable fact is that today, leaving the phone behind while fishing often isn’t an option. Angler’s need their phones for all sorts of reasons, ranging from emergencies to notifying friends of a change of plans. Of course, taking a phone fishing isn’t without risks. The rivers in Montana are notorious for destroying electronics. Digital cameras, tablets, smartphones and many more electronic devices are frequently destroyed by the clear, cold waters of Montana’s rivers. And if the river doesn’t destroy the phone, the changeable Montana weather often will. So this leads to a question. How do you protect your phone while spending a day chasing trout? Thankfully, the answer is simple. You use a waterproof phone case. Waterproof phone cases are, as the name suggests, waterproof cases for smartphones. What’s unique about these cases is that they allow for full or partial use of the phone while the phone is still inside the case. Depending on the type of phone and case, you can use the phone to talk, text, send emails, check the latest fishing conditions, and much more. A smaller waterproof phone case. Ideal for smaller or older phones. See more Phone Cases at NRS. All quality waterproof cases also come with lanyards. The lanyard is used to attach the phone to the angler’s fly fishing vest. Using the lanyard isn’t optional, either. The lanyard prevents the phone from “floating away” if the angler drops the phone, or worse, takes a tumble in the river. Somewhat surprisingly, the world isn’t awash in waterproof phone cases. Offline, the best places to check for waterproof phone cases is REI, Eastern Mountain Sports and other sporting good stores that sell quality, technical gear. Due to the lack of options to buy waterproof phone cases offline, most angler’s buy them online. The first stop should be NRS. 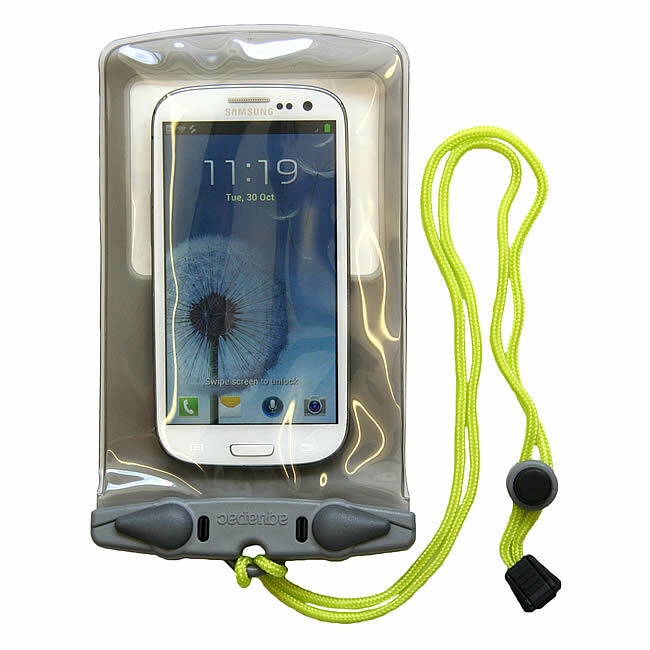 NRS sells many quality waterproof phone cases designed to fit various sized smartphones and tablet computers. Just as importantly, all the cases they sell are quality and highly unlikely to ever develop a leak, even with extended use. Amazon also has a massive selection of phone cases available. Several other online retailers sell a smaller selection of cases, and are worth checking out if you can’t find one at NRS or Amazon that meets your needs.